I'm late to this party. 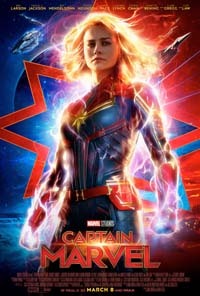 With Avengers: Endgame due out in the next couple weeks, I finally got around to seeing Captain Marvel. I had planned to see it with a friend the week after release, but illness and work got in the way, so we never made it out. Also, I just haven't been out to movies much since being blown away by Into the Spider-Verse -- seriously, it's out on home video and streaming, go watch it! There's a few other movies that I've been wanting to see, and I'm going to try really hard to not miss them in theaters. I'm really looking forward to Jordan Peele's new movie, Us, which I'm hoping to see this week or next. And apparently, DC's Shazam! might actually be good?! But I finally had a weekend afternoon to myself, and decided to go to Captain Marvel, since my girlfriend didn't want to see it. As is par for the Marvel movies, it's good enough. Marvel has yet to produce a true flop, but I feel like Captain Marvel is a bit of a regression considering the studio's recent track record. 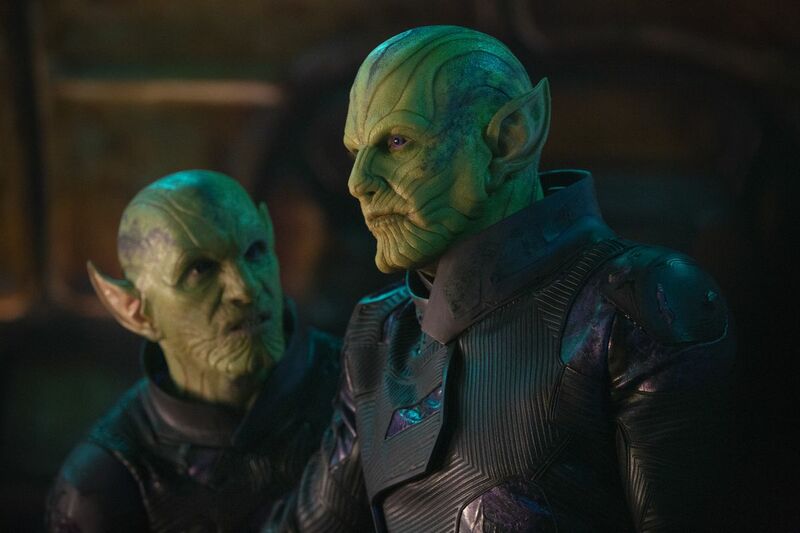 I like when the Marvel movies experiment with genre, but Captain Marvel remains a pretty standard fare origin story. The big problem is that we're back to origin stories. Spider-Man: Homecoming smartly passed on re-re-telling the story of how Peter Parker became Spider-Man, and was all the better for it. 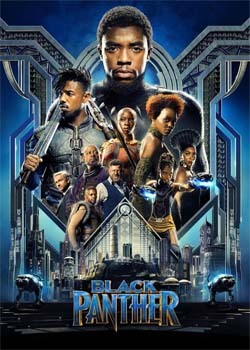 Recent movies like Black Panther, Guardians vol. 2, and [especially] Infinity War, had moved beyond the dull origin stories and un-interesting, cookie-cutter villains to offer truly engaging and transcendent films. Captain Marvel kind of falls in with Doctor Strange as being a passable -- but ultimately skippable -- entry. At least it isn't as contradictory as Doctor Strange. 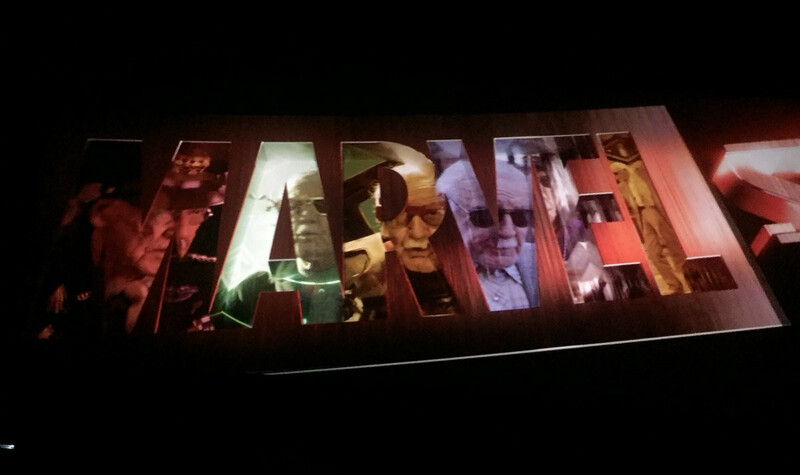 The movie certainly earns a lot of goodwill with the Marvel logo that makes a touching tribute to the late Stan Lee. From there, Captain Marvel mostly comes off as a first-gen Marvel movie, but with a lot more stilted and forced attempts at humor that just sort of feel flat for me. Except for everything involving the cat. The cat was great! Did you tear up? I teared up. A big problem with this movie is its failed attempt (or lack of an attempt) to build any intrigue. It is setup and plotted a bit like a buddy-cop comedy, and a bit like a mystery story -- either of which could have been different. I like when Marvel movies experiment with genre to make themselves feel more distinct than your average superhero movie. 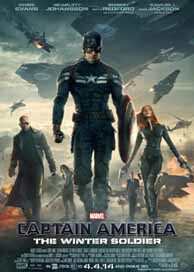 Winter Soldier felt more like a spy movie. 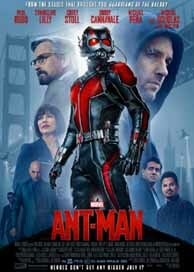 Ant Man felt more like a heist movie. Guardians of the Galaxy (both volumes) feel like space opera. Black Panther has the whole sci-fi Afro-futurism thing going. Infinity War re-frames the villain as the protagonist. And then, of course, there was Logan, which is basically a western with Wolverine, and which may be the best super hero movie that's been made to date. I was hoping that Captain Marvel would be more of a genre piece -- ideally a sci-fi flick. It comes so tantalizingly close, especially where the Skrull are involved, but just doesn't commit in the way that Winter Soldier and Ant Man committed to their respective genres. I guess I'm going to have to wait for a Marvel-produced Fantastic Four movie to see them take another stab at true science fiction. Instead, Captain Marvel seems to want to be a mystery -- maybe even something with a bit of an X-Files bent to it, taking advantage of the '90's nostalgia, with Carol Danvers being a Fox Mulder and Fury being a Scully. No such luck. The problem is that the movie spills the beans almost right from the start. There's no intrigue or mystery to keep my attention. 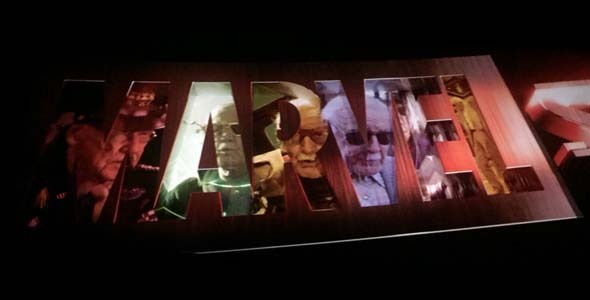 The villain-swap is nice and well-executed, but it would have been a lot nicer if the movie hadn't gone so far out of its way to signpost that the Carol is being deceived and manipulated. 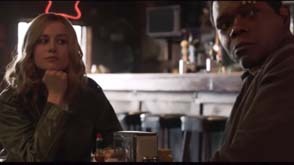 Captain Marvel has the building blocks of a buddy cop or sci-fi flick, but can't commit to either. 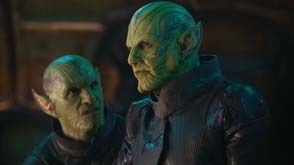 In the end, Captain Marvel works well enough to be enjoyable because the intended messages of the film are positive ones, and they are all well presented. On one end, is the generic message that says "keep getting back up when you fall" (though I feel Chris Nolan's Batman films present this message much better); and on the other end is the more specific, uplifting message of "don't let anyone tell you that you can't do something because you're a girl." There's also a very topical plot thread about the treatment of refugees, which I thought was the emotional and moral high point of the movie. All those messages come through loud and clear. The movie just stumbles over its own feet to get there. The last couple years of Marvel movies have set the bar really high, and Captain Marvel just doesn't reach it. I would much rather have skipped yet another origin story and seen a stand-alone Black Widow movie.